The damage caused to public and private buildings, transport facilities and recreational facilities in South Australia by graffiti, and the costs associated with its removal, are enormous. Estimated to be around around $12 million annually, the cost of graffiti removal to TransAdelaide alone is around $350,000 each year. However, intrusive and destructive graffiti is not a problem that is unique to Adelaide; the Australian Institute of Criminology estimates the bill for graffiti removal and reparation to be in the region of $300 million nationally each year. The latest comprehensive survey of Adelaide residents and their feelings about unwanted graffiti in public places, conducted in January 2013, found that over 83% of Adelaide residents considered graffiti to be a minor (48.8%) or big (34.3%) problem in their council area. The council areas where the highest proportion of residents considered graffiti a problem was in Onkaparinga (18.7% of respondents), followed by Salisbury (13.6%), Marion (10.4%) and Port Adelaide Enfield (9.1%). South Australian Attorney-General John Rau has explained that the cost of removing graffiti is a huge burden on councils and businesses. "Council rates in every local government area in South Australia are being inflated to the tune of hundreds of thousands of dollars to clean up the mess." In response, Adelaide City Council has established a 24-hour graffiti hotline for reporting graffiti within the City of Adelaide, North Adelaide and the Park Lands: 8203 7100. In addition, there is also a smartphone app that can be used to report instances of graffiti. The South Australian state government has also instated a $500 reward for people who report graffiti vandals. 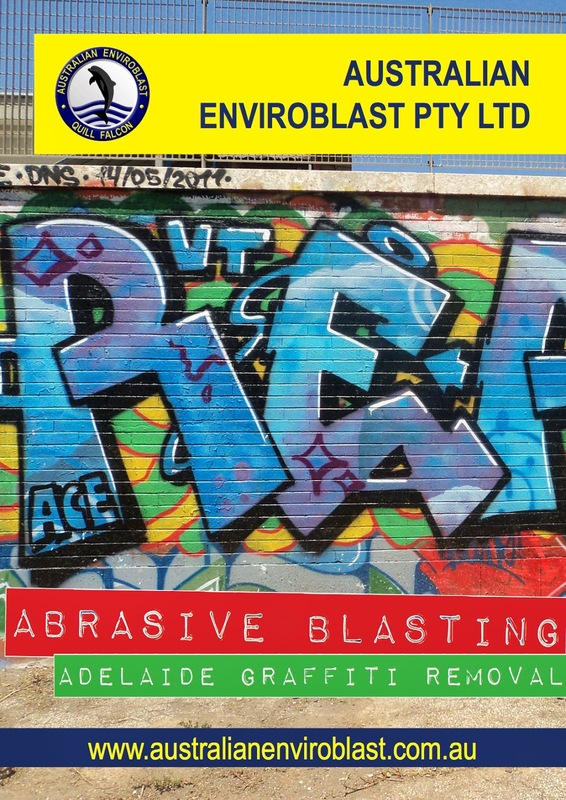 Visit our website or email us to find out more about how abrasive blasting can help you to remove unwanted graffiti.